My husband is an amazing chef. I love to learn from him and enjoy all the food he makes, but I really dislike washing chef coats. And when I say dislike, I really mean hate. I really have nothing nice to say about chef coats. They are big and bulky and stains stick to them like super glue. With each restaurant change (and there have been quite a few as my husband has moved up in his career), come new chef coats and the task of finding what cleaning treatment will work the best for that specific coat. If you are like me, you have googled, “How to clean a chef coat” on numerous occasions as you struggle to get out those stains that somehow made it past the apron. So You Want to Own a Restaurant . . .
Has your chef ever thought about opening their own restaurant? It’s definitely not for everyone. But I know many chefs who would like to one day have their own place and many chef girlfriends and wives (or husbands and boyfriends) who wonder what it would really be like. 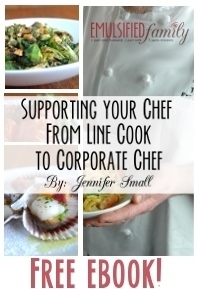 There are a few chef wives who have written books about opening a restaurant with their chefs. You can read about Delancey and Wife of the Chef in a few posts I wrote last year after I read the books. But today, I’d like to introduce you to my friend Dhanny. I met her through this blog and have LOVED getting to know her this past year! She has such a great perspective on restaurant ownership and I’m thankful she’s willing to share her story with us today! Every time I look at the calendar, I am amazed that we’re in a new year. 2014 just flew by for our family. 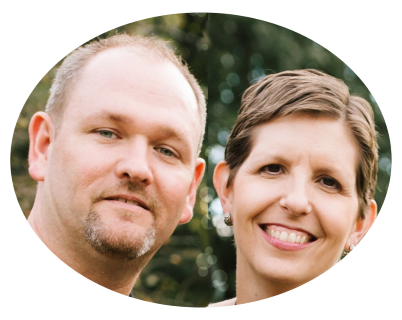 Somehow in the midst of the craziness I started blogging. I had no idea how much I would enjoy writing and really wasn’t prepared for all the comments and emails I would get from so many people around the world that could relate to my life! 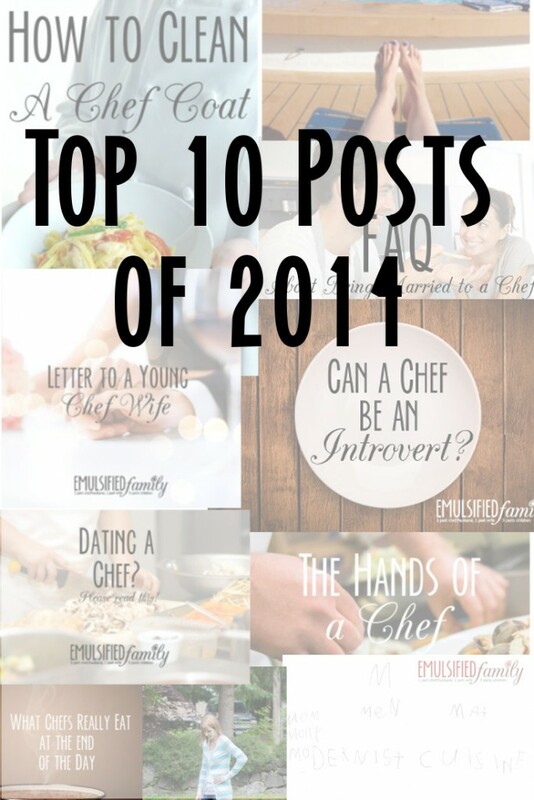 Today I thought I’d share my 5 most visited blog posts/pages from 2014 and also my 5 personal favorite posts. You’re Dating a Chef? Please Read This! – Every month, this post is at the top of the list! 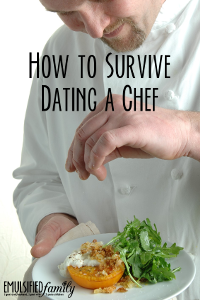 Dating a chef is not easy! How to Clean a Chef Coat – Yep! It’s a pain, but somebody has to do it. You Know Your Dad’s a Chef When . . . Part 2 – Our kindergartner wrote Modernist Cuisine on her homework and I tweeted about it. Modernist Cuisine tweeted back and my site went crazy with visitors! Woohoo!! Letter to a Young Chef Wife – I loved putting together a list of things I wish I knew 19 years ago when my husband first started working in a professional kitchen.